The MusicMiner web portal is an innovative, cutting-edge solution for the administration of music, sounds and sound effects. You can access your archives via popular browsers like Firefox or Safari and give a large number of users convenient access to those archives as well.MusicMiner is a web portal that works equally well as an online or intranet solution. Media conglomerates and music labels alike will appreciate MusicMiner's inexpensive and highly adaptable solutions for making archives accessible to large numbers of users. Musicminer Web Portal is a soundminer product. MusicMiner is a regular website complete with all the popular, well-known functions. It is easy to create playlists and search the catalogue. 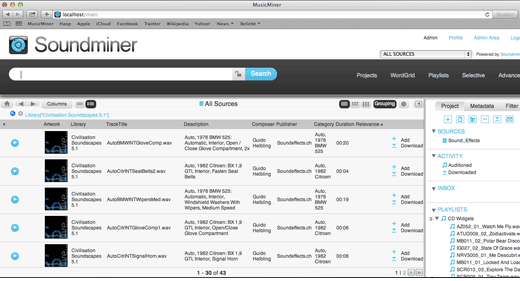 MusicMiner is aimed at users who need access to the archive in order to compile sound material, do selective research or prepare for a production. MusicMiner features several Audio Players that can be made locally available by the system administrator. This also includes an up-to-date player with waveform display that helps pick the right file in no time. 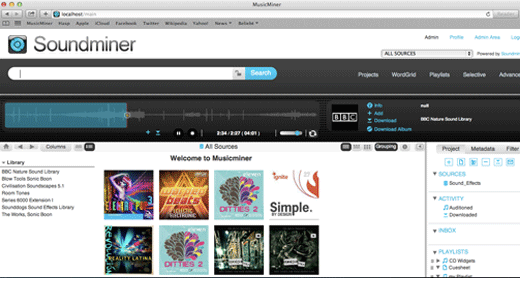 MusicMiner is one of the most important connecting elements in a modern production environment and gives a large number of people easy access to an archive. Use MusicMiner via intranet and benefit from the same infrastructure as your Pro department. 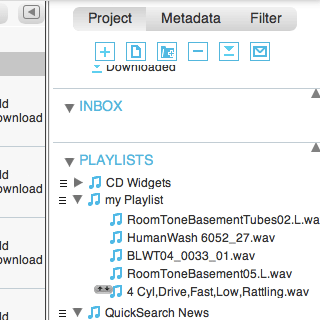 MusicMiner uses the same databases as Soundminer V4 Pro and HD Plus, hence the different software plays together nicely. 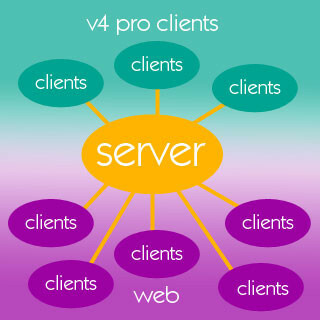 The same databases are used exclusively, so as not to create any additional administrative effort. As soon as the database has been updated, the changes are immediately accessible.